Today Apple released the first major update for its short form video creation app, Clips. 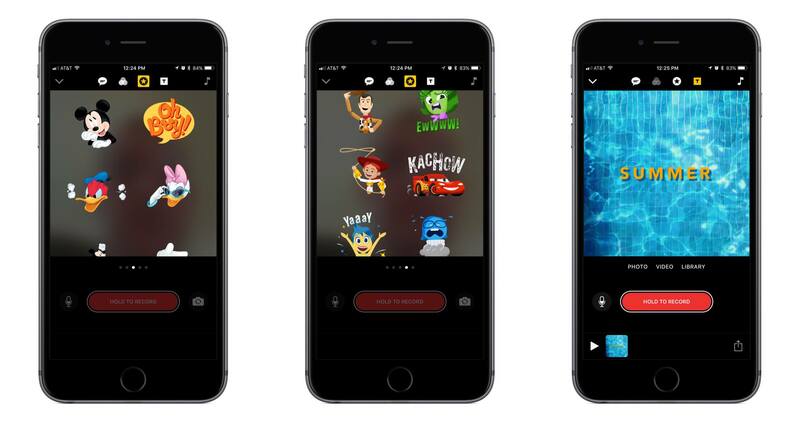 Version 1.1 includes, most notably, a variety of animated graphics featuring beloved characters from Disney and Pixar films. In the Disney department you can add Mickey, Minnie, Donald, and Daisy to your videos, each with their own unique animations. And from Pixar, characters originating in Toy Story, Inside Out, and Cars are available. There are also a variety of new posters available to be used as title cards, some of which were designed by Disney and others by Apple. A selection of the new posters feature vibrant animations when you use them, such as water rippling in a pool. In addition to the new content available for creating videos, Apple has also refined some design aspects in the app to make it easier to use. For example, Live Titles could always be edited by tapping on the text, but that wasn’t a very discoverable interface. Now there’s a new button to accomplish the task. Apple’s press release announcing the update mentions that Clips “is included on all new iOS devices,” which should help bolster adoption of the app. That press release also features a video seemingly created in Clips that’s worth checking out.